A chapter in the new book Design Thinking: New Product Development Essentials from the PDMA was written by Insigniam co-founder Nathan Owen Rosenberg Sr., along with partners Marie-Caroline Chauvet and Jon Kleinman. 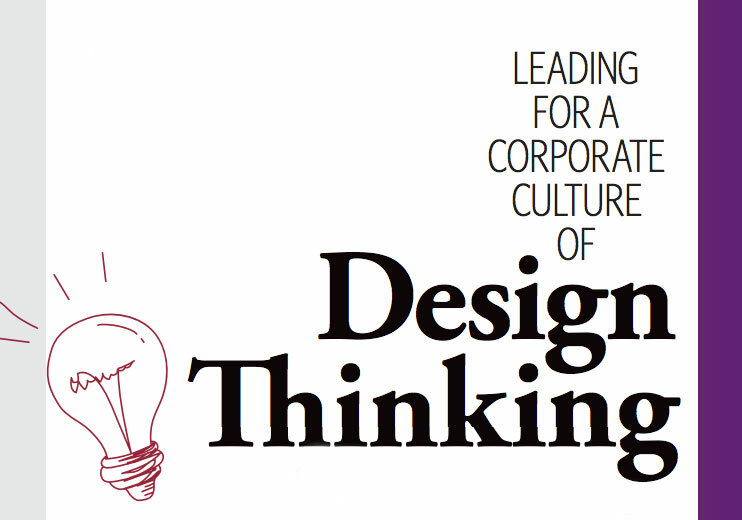 The book is a unique contribution to a growing body of literature on the topic of design thinking and its use in corporate environments. Insigniam’s expertise in the realm of corporate culture was called upon to explicate corporate culture’s impact on effectively embedding design thinking at a large, complex enterprise. Always looking for competitive advantages in the world of business, executives are increasingly turning to new paradigms for thinking and acting to alter the trajectory of their respective organizations. Design thinking is among the most talked about and turned to of those novel paradigms by today’s executives. The role of corporate culture, as the chapter suggests, is equally as important to an organization’s overall effectiveness. His 29 years in consulting have catalyzed measurable breakthrough results and valuable innovations and transformation for 17 percent of the world’s 1,000 largest companies and more than 89,000 people with whom he has worked with directly. Nathan is a board member of the Boy Scouts of America, Educate Girls Globally, and the United States Air Force Academy Rugby Excellence Fund, and is a trustee of the Committee for Economic Development. A highly capable strategic thinker with extensive experience in financial management and corporate strategy across multiple industries, Marie-Caroline Chauvet has been instrumental in building strong corporate governance and successful business cultures. As an Insigniam partner, she brings more than two decades of corporate experience and the ability to integrate new global brands, including 10 years as executive and division controller to the world’s largest cosmetic company. Beyond cosmetics, she has helped grow companies in chemical, retail, consumer goods, aerospace, and other industries. Jon brings more than 15 years of experience in consulting Fortune 500 companies. An expert communicator with an understanding of the critical elements of driving growth through innovation, Jon brings critical insights and leadership in the pharmaceutical, biotechnology, high-tech, retail, and consumer products industries. As the partner leading Insigniam’s Design and Innovation team, Jon has researched, designed, and executed new programs for Insigniam that provide added value for clients. Over 30 years ago, Insigniam pioneered the field of organizational transformation. Today, executives in large, complex organizations use Insigniam’s consulting services to generate breakthroughs in their critical business results. Insigniam’s innovation consulting enables enterprises to identify and cross into new strategic frontiers to rapidly generate new income streams. Insigniam provides executives of the world’s largest companies with management consulting services and solutions that are unparalleled in their potency to quickly deliver on strategic imperatives and boost dramatic growth. Insigniam solutions include Enterprise Transformation, Strategy Innovation and Innovation Projects, Breakthrough Projects, Transformational Leadership, and Managing Change. Offices are located in Philadelphia, Laguna Beach, London, Paris, and Hong Kong. For more information, please visit http://www.insigniam.com.